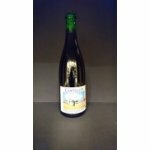 The most famous among the fruit beers is without doubt the Kriek. On a warm summer day, a lorry coming from the auction at Sint-Truiden delivers 4.000 kgs of fresh Kellery cherries to the brewery. 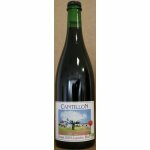 The brewery staff will then put about 150 kgs of fruits in oakwood or chestnutwood barrels which can contain 650 litres of lambic and which have been cleaned some days before. These barrels are filled with healthy lambics which are more or less one and a half year old. These are not so easy to find, because many beers are still ill at that age. These "oily" beers will have to mature for some months in the main barrel. When the Kriek barrels are filled with the fruits and with the lambic (about 500 litres), the hole in the barrel is closed with a sheet of paper in order to avoid contact with impurities. Five days later, the fermentation starts. The sugars from the lambic and from the fruits bring about the activity of the yeasts which are concentrated in the wood and in the skin of the fruits. A marvelous pink or red foam decorates the old barrels in the cellar. Normally, the fermentation stops around the 10th of August. The barrels are then closed and the acid lambic begins to extract the taste and the colour from the fruits. Flies and mosquitoes haunt the cellars and are likely to provoke bad infections. Due to the presence of the home spider, however, a natural predator which is more efficient than any insecticide, the Cantillon Brewery presents a natural equilibrium which enables us to produce our beers. The fermentation of the Kriek in the bottle generally starts in the beginning of October. Two barrels of Kriek from the first extraction and two from the second are pumped into a huge barrel. (The second extraction is obtained by filling the barrel for a second time in order to extract as much from the fruits as possible). 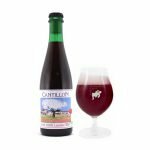 It is also possible to blend a certain quantity of young lambic with the Kriek in order to obtain a second fermentation in the bottle. The Kriek goes through a natural saturation, normally after three to five months in the bottle. 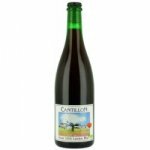 We recommend to drink the Kriek within one year after the bottling. The fermentation will change the primary taste of the product and the Kriek will be dominated by the character of the lambic. The red colour will change into more oily shades. This is, however, a personal point of view. Some customers conserve their Kriek for a long time and like it that way. Kriek is a traditional summer beer. It is a very thirst-quenching beer which tastes deliciously with a big slice of brown bread with white cheese, radishes, onions and chives. Years ago, people who drank Kriek in a pub were also given two lumps of sugar and a "stoemper" on a small plate. With the "stoemper", the customer could crush the sugar on the bottom of his glass and sweeten it in a natural way in order to eliminate the sour taste. Maravillosa, acre, rebosa notas a cereza y piel de la misma, carbonatación muy justa, y nada dulzona como esas kriek elaboradas a base de jarabes y siropes. (4.85) | 2 val. | 2 com.